After reading Doug Peterson’s post this morning, which promotes the merits of teaching coding in elementary grades, I was reminded of a powerful interview with Silvia Martinez and Gary Stager, authors of Invent to Learn. Similar to Doug’s message, they speak on the importance of introducing students to learning opportunities that might not presently appear as a discipline in the curriculum. This is our third year as a 7-12 school, and we continue to look for ways to do this in our elementary/high school community. Last year, as part of the gr. 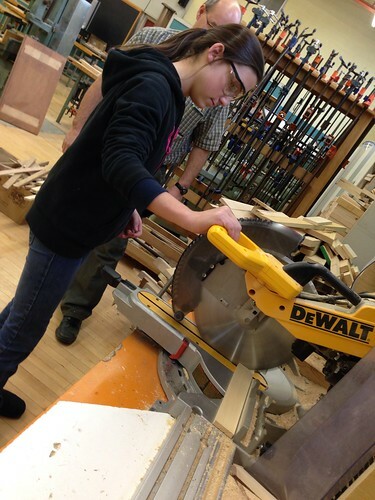 8 science curriculum, our students spent 3 days in the high school wood shop with the tech teachers during a period that hadn’t been filled due to low enrollment. The high school teachers are happy to facilitate our students as they view it as “good advertising” for their program. This year, the high school tech department has a full gr. 9 tech rotation – in fact all periods are full each semester with various tech classes. We’ll still bring the gr. 8’s into the wood shop this year, but it has to be scheduled during the week of high school exams when the wood shop is empty. A good problem to have to work around. On the other hand, enrollment was too low for the high school design tech class this year, so it was cancelled. But at the opposite end of the school building, our gr. 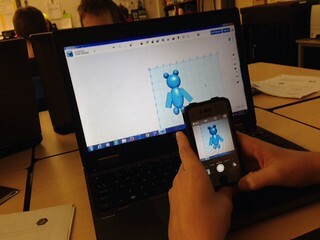 8’s are now using CAD (computer-aided design) and 3D printing technology. We’ve invited the high school design teacher into our classroom to see the engagement and interest that is emerging in the building. What impact might this have on his design class enrollment in the next few years? By the time students reach high school, the opportunities to expose kids to “things they could fall in love with” is limited due to pathway expectations and required credits. If a student has never been in a wood shop, experienced CAD design and its opportunities, would they sign up for those classes? The same applies to computer science and coding – if a student has never experienced coding, and their passion is undiscovered, it makes sense to suggest it’s less likely they’ll register for it in high school. It’s essential our students are introduced to these opportunities before they decide on a particular career path. Leaving these opportunities until high school is too late. 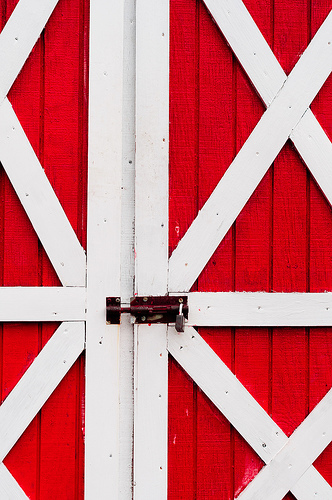 We have “closed the barn door after the horse has bolted”. While I have no experience in coding, I’ve been thinking over the past few years about introducing it to our gr. 8’s using Scratch. Yesterday, during a snow day, I was sharing examples of programs students produced using Scratch with our French teacher – programs written by gr. 7 students. We soon began to answer our own questions regarding the why, how and where it could be used across the gr. 8 curriculum. And similar to what I knew about 3D printers when the one I ordered arrived at our classroom door (very little), my knowledge on Scratch is Limited. But as Silvia comments in the video, “Don’t wait for the pre-packaged curriculum. Be the architect of change in the classroom. How to start? Just start.” Once we get started, similar to our learning in 3D printing, I’ll be happy to take a seat beside my students as we learn together. “Relinquishing (our) authoritarian role”: Jerry, (gr. 8) teaches 123D Design. Towards the end of the interview (9:25 to be exact), Gary states that “education needs to redefine success and scale”. He shares his personal experience of learning to program. Twelve-year-old Gary felt “powerful, sophisticated, smart, creative for the first time in my life”, and “developed habits of mind – the ability to put myself in different perspectives to solve problems that serves me everyday of my life.” The WHY. Learn more about Gary and Silvia’s work at Constructing Modern Knowledge. This entry was posted in 3-D Printer, Maker and tagged "Autodesk 123D Design", 3-D Printer, 3D Printing, Heather Durnin. Bookmark the permalink. Thanks for dropping by my blog this morning and for sharing your thoughts, Heather. As you know, I grew up very near your school and yet my education was light years away from the opportunities that you’re providing your students. There was no access to technology like you’re describing and we were streamed in secondary school which gave great opportunities on the one hand, and on the other, shut us out of others. I like the way that you’re describing the connections between 7-8 and the secondary school teachers. I know that there is some angst at this partnership in the beginning but your descriptions show how this becomes a positive result for all involved. Way to go. I would encourage you to dig into Scratch a little further. 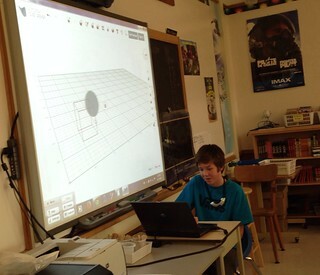 If your students can handle CAD and use it to express their creativity, they’ll have no problems with some programming. They might just pursue it later in their educational career but even if they don’t, they’ll learn that they can make something with their abilities instead of just using applications created by others. Thanks for sharing your thoughts about programming and bravo for getting into Scratch! I love reading about the journeys you are on with your students – they are very lucky indeed! I think your students will really like Scratch…let me know if you’d like any resources…I’ve found some things that are working well, my issue being not enough time with students as a planning teacher. I’m going to pick it up again as a club so that we can really work for an extended period of time. One caution with Scratch is that, because it is robust, kids will get stuck (and you will too). If you encourage them to persevere, I think you’ll find it will pay off. The Scratch community online is a big help for me. I’ve seen many students give it a go and teachers and parents think they become ‘bored’ and master the programming to move on to other things like Minecraft which is much easier to master and quite different indeed. Letting students know up front that getting stuck and finding bugs are part of the ‘hard fun’ as Seymour Papert would say, has helped me along the way. I’m realizing now that I had a whole different school experience than some, after reading Doug’s reply. I went to a middle school which had rich music, art, cooking, sewing, and traditional shop class offerings. Drama was on the weak side and there weren’t any computers so that was not an option. I wonder about bring those back once again to middle school, or maybe some boards still have that? I share the concern about the Maker stuff and the trendiness you mention. @peterskillen and I have been wondering how the Science and Technology teachers in elementary have been feeling, as this becomes all the rage. Are we honouring their expertise and bringing them into the conversations? Thanks Doug and Brenda, for your comments. As you mentioned Doug, the “why” of teaching Scratch, is to introduce them to the concept of coding. Whether they love it or not, students can make a more informed choice once they move into course selection in high school. Like you Brenda, I also had “Home Economics” and “Shop Class” in gr. 7/8. While I don’t recall many specific lessons learned while sitting at a desk, I have vivid memories of operating a sewing machine and a drill press. I know my students were in awe when skyping with David Hann’s gr. 7/8 students last year from their shop classroom. I would love to see those opportunities offered to all middle school students again. “Technology….. a process of exploration and experimentation….. the application of knowledge to meet an identified need or to solve a specific problem using materials, energy, and tools (including computers).